I’m a HUGE Harry Potter fan, love reading (and re-reading) the books, delight in the movies and have had plenty of dreams where I could cast a nifty spell. Imagine my delight about visiting The Wizarding World of Harry Potter during Family Forward this month! 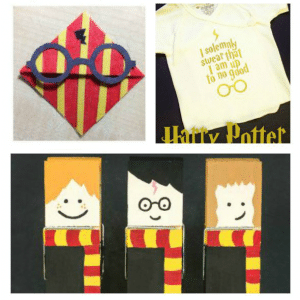 I can’t wait to tell you all about it – in the meantime, enjoy these 100+ DIY Harry Potter Ideas for crafts, recipes, printables and much more! Don’t have the budget to swing an expensive vacation this summer? Even though Disneyland, cruises, and road trips are super fun, for the normal person it’s just not practical to splurge on one every single year. It’s still nice to have some type of family vacation, though, right? 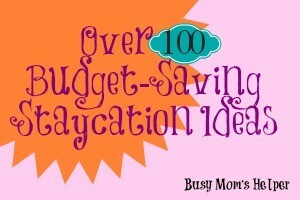 Well, here’s the list to save your vacation woes…Over 100 Budget-Saving Staycation Ideas! Yesterday was Wonder Woman’s last day of 2nd grade, so our house is on ‘official’ summer break mode. Seriously, WHY do kids go crazy the DAY it’s summer break? Do they have a switch? Whatever it is, I do find it slightly annoying. Anywho…since we’re trying our hardest to get out of debt, we’re putting the big N-O to any big vacation plans this year. I don’t want to do NOTHING, though, so went on the search for some awesome Staycation Ideas. This list of over 100 ideas will have us spending plenty of staycation time together, and I’m sure there’s something perfect for your family, too! Six Sisters’ Stuff shared these 30 Cheap Staycation Ideas, and they’re fabulous! What better way to relax and enjoy yourself than with these 22 Ways to Turn Your Home Into a Staycation Resort from This Old House?! Have you done any Staycations in the past that you absolutely loved? Please share in the comments below! 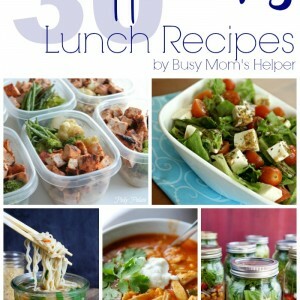 As a super busy mom, I really dread spending too much time cooking. I love cooking, don’t get me wrong, but there’s so many days where it’s just not going to fit into the time I have. That’s why I absolutely LOVE my slow cooker! But did you know that you can make more than just dinner with it? 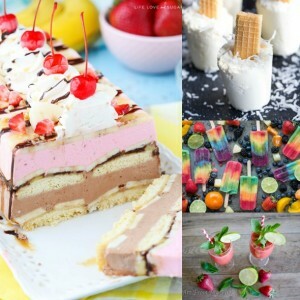 That’s right, you can make delicious desserts, as well! To help get you started, here’s 52+ Slow Cooker Desserts! 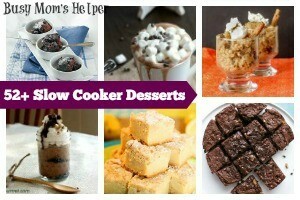 Quite the selection of Slow Cooker Desserts, right?! I love using my slow cooker, and now with cold weather hitting will be pulling it out even more often! My kitchen is sure gonna smell delicious! Grilled Chicken and Blueberry Salad via Skinny Ms. 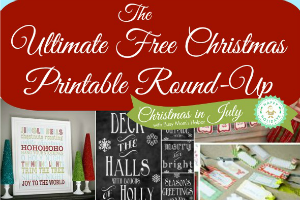 I couldn’t do a Christmas in July week without doing an AMAZING list of the most adorable, fun and elegant prints I could find, so here y’all go: The Ultimate Free Christmas Printable Round Up! There’s a TON of beautiful, artistic and down-right funny prints on this list, and they’re all FREE! Yup, I’m a lover of free things, especially ones that will help with my holidays! So without further ado, check out this Free Christmas Printable list! I had so much fun making these 12 Days of Christmas Printable Tags last year! I really need this When you stop believing…from That’s What Che Said, for my Wonder Woman who is starting to doubt! I love chalkboard printables, and these Free Christmas Chalkboard Printables from Mother Thyme are simply lovely! This Holiday Cheer Printable from Today’s Creative Blog has such cute colors, and love the words she chose to use! I’m for sure printing off this Jesus is the Reason for the Season Free Printable from How To Nest For Less for my mantel (or on top of my piano) this year! LOVE LOVE LOVE! Oh my gosh, how fun are these 11 Free Christmas Printables from My Blessed Life?! Super fun, I say! These Christmas Subway Art & Banner from Mod Podge Rocks Blog are the perfect colors for the holidays! What a simple-yet-fun print, this Eat Drink & Be Merry Printable from Two Twenty One would be a cute holiday item for my office this year! My kids loved this Dear Santa: Kids Wish List Printable last year, and I’m hoping to put off this year’s lists at least a few more months! Sassy Sites has More Than Thirty-Five Adorable & Free Christmas Printables that are just fabulous! We’ve been out of school for a week. ONE WEEK. Already my kids have had moments when they pull the ‘I’m Bored’ card. Luckily there were so many great ideas in my original 75+ Summer Activities post for me to look to – but why stop there? Y’all loved that list so much, I decided to share 75+ MORE Summer Activities! Plenty of fun kid activities, crafts, family games and even delish summer snacks you can all enjoy. If you missed our original 75 Summer Activities list – see it here! With summer vacation fast approaching, I’m starting to build myself a little ‘arsenal’ of ideas for those days when we need something just a bit more. 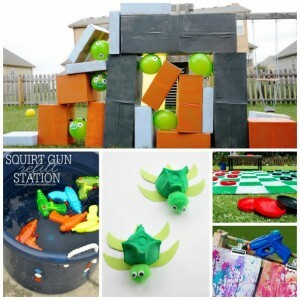 These 75+ Summer Activities for Kids or Families will definitely come in handy those times when the kids want a change, and even Mom and Dad like a little more excitement! Also check out our list of 75+ MORE Summer Activities. Now, if you want to know what I DID finally decide to get my little sis, check out this Graduation Gift Bottle Set! I love how it turned out. And you can nab the Free Printables to make your own! Now on to the FABULOUS ideas! This DIY Chalkboard & Tassel Graduation Frame from My Sister’s Suitcase is so simple and cute! What a perfect way for your graduate to display their grad photo! I love this oh-so-tasty Celebrate S’More Graduation gift with Free Printable Tags from Parties & Patterns. What a great personalized gift – a letter block with photos and sayings from The Little Hobbit! So maybe I’m a little biased because my high school colors were blue and yellow, but this display and Graduation Round-up over at Skip to my Lou is darling! You all probably know that I’m a SUCKER for cute and FREE printables, so this 2014 Printable Graduation Money Card Holder from Thirty Handmade Days is definitely a keeper! Okay, so I know this is technically a ‘birthday’ post from She’s Crafty…but what a FABULOUS idea for giving money in a fun way! We had a blast with these Star Wars Graduation Bottle Set Prints! Aren’t these Graduation Cap Toppers from Lil’ Luna adorable? LOVE THEM! Especially nice for the root beer-loving graduation are these Awesome Graduate Free Printables from Leslie Miller. 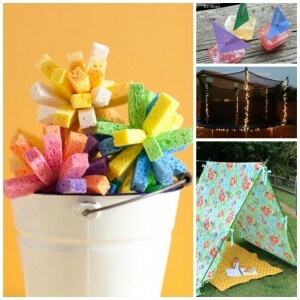 Too many cute choices from these 15 Handmade Graduation Gifts over at I Heart Naptime! If I were graduating, I would totally love one of these Crafty Ways to Give Money from Good Housekeeping. Another clever-and-cute way to give money from Larcie Bird! You just can’t go wrong with these 40 Fabulous Graduation Gift Ideas from How Does She?! Yes, another one from Lil’ Luna, but she just has so many wonderful graduation ideas! Head over and learn How to Make Money Leis! Want to give something ‘inspiring’ for your graduate? Check out this Graduation Gift to Inspire from Create it Go! 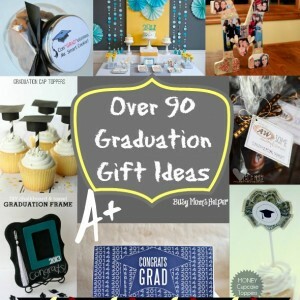 Good luck just choosing ONE idea from this fabulous list of 24 Graduation Crafts & Recipes from Family Corner. Not only a perfect gift, but this Graduation Mason Jar Money Gift from Creative Capital B is a wonderful use of spare change! ‘Oh, the Places You’ll Go’! I love that book, and I LOVE this Free Graduation Gift Printable from my friend Claire over at A Little Claireification! What graduate wouldn’t love some delicious cookies in a cute jar? And don’t forget to add the adorable Smart Cookie Free Printable from Crazy Little Projects! Okay, just ONE MORE from Lil’ Luna, but I couldn’t resist these cute (and easy!) Money Cupcake Toppers! 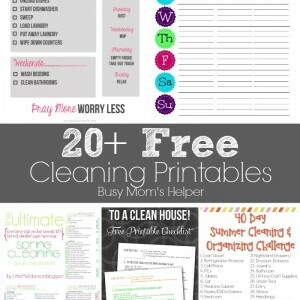 Originally shared January 2015 – resharing because these cleaning and organization printables are super helpful, especially as we’re starting a new year! A new year means a fresh start! Here are 20+ Free Cleaning Printables to make life easier and your home happier. I’m so glad to be here sharing with you a little cleaning inspiration. I’m a busy wife, mom, craft and DIYer, wanna be homesteader, blogger and small business owner, to name a few. Trust me, I have plenty of distractions from cleaning and on most days those distractions win. Yes, I’m the mom who does her best cleaning 20 minutes before someone gets there. The problem is my family suffers (can’t find their favorite shirt) because of it, and not to mention the added stress it causes me when things aren’t where they should be. Don’t get me wrong, we don’t live in filth, but I wouldn’t go running a white glove over my baseboards. In all of the busyness, I have figured out the things I have to get done in a day to get by, but this year I really want to strive for more. I’m hoping by being more organized with my cleaning schedule this year, I will be able to get the most done with the time I have. I know that things work better when you make a plan, so here are some cleaning printables that will help us (I hope I’m not the only mom in this situation) do just that. Free Cleaning Checklist you can Customize- 1 Year on 1 Page via Simply RebekahIf you are looking for more printables, be sure to check out these 25 Printables for Organizing your home and life. You can find out more about me at Life After Laundry, where I share my love for homemaking, homesteading and all things crafty. I have to admit, I use to be terrified to make rolls. I’d had so many different ones others would make, I was intimidated, convinced it would be a challenge. Then I gave it a try, and realized it was so EASY! With Thanksgiving coming up soon, I now happily volunteer to bring rolls every time – and am always eager to try new, delicious variations! 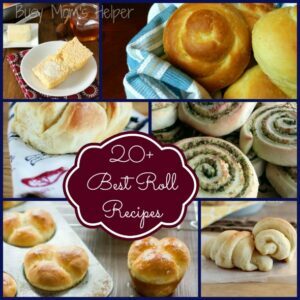 Now YOU have all the help you need with picking the perfect roll recipe this holiday season, with 20+ of the Best Roll Recipes! I love good rolls! You can serve them with so many different dishes, and really switch it up with jelly, honey, butter, glazes, you name it! They shouldn’t be a huge headache to make, though, especially during the holiday season. I mean, really…you have enough other foods to worry about like the turkey, stuffing, not to mention a dozen or so desserts! Who needs to also stress about making the perfect roll?! Not me anymore, thanks to this collection of 20+ of the Best Roll Recipes! It’s no secret that we love hot chocolate around here. There’s just nothing better than coming in after a long, cold day of work, school or play and enjoying a warm cup of hot chocolate with some mini marshmallows! The kids love it, we love it. It just can’t be beat and I know you probably agree. 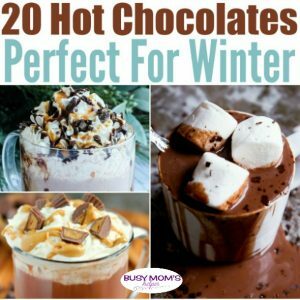 Today, I thought I’d share with you 20 Hot Chocolate Recipes that are Perfect for Winter. There’s a little something for everyone, from traditional to a fancy recipe or two. So grab your favorite mug and let’s get started! Which hot chocolate recipe is your favorite? I love a bit of mint in mine!